With around 250 new parts, the DT Spare Parts brand is expanding its product range to fit Volvo Bus B 9/11/12/13 D/DH engine. The new catalogue contains about 1 900 own spare parts, which replace about 4 000 reference numbers. DT Spare Parts thus offers an even more comprehensive range of spare parts for buses - naturally with the 24-month guarantee from DT Spare Parts. The continuous further development of the spare parts range offers DT Spare Parts customers a constantly growing range and future-oriented solutions from a single source. In addition to the spare parts program suitable for Volvo Bus B 9/11/12/13 D/DH engine, products for Volvo B 10/B12 are also available. The complete range in the bus segment comprises a total of more than 13 000 parts. Detailed information on existing and new spare parts can be accessed online at any time via the product search in the Partner Portal at http://partnerportal.dieseltechnic.com. 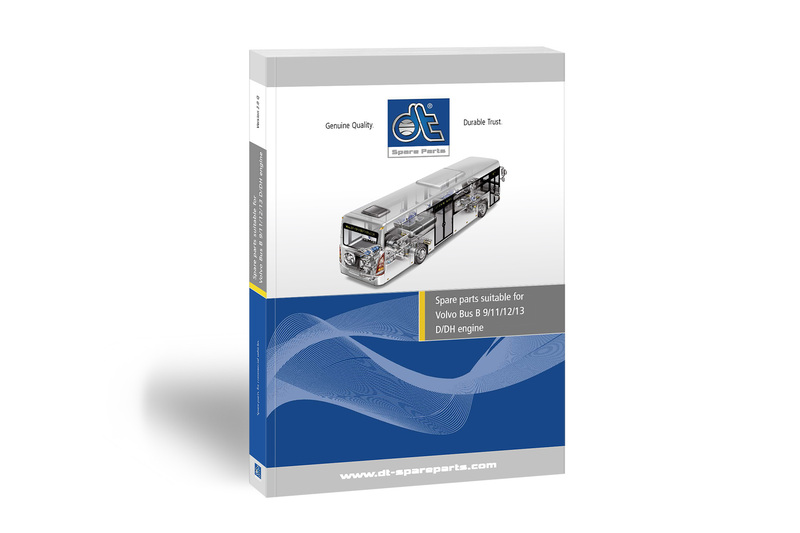 The new Volvo Bus catalogue and all other DT Spare Parts catalogues can be found as digital versions at http://dcat.dt-spareparts.com. 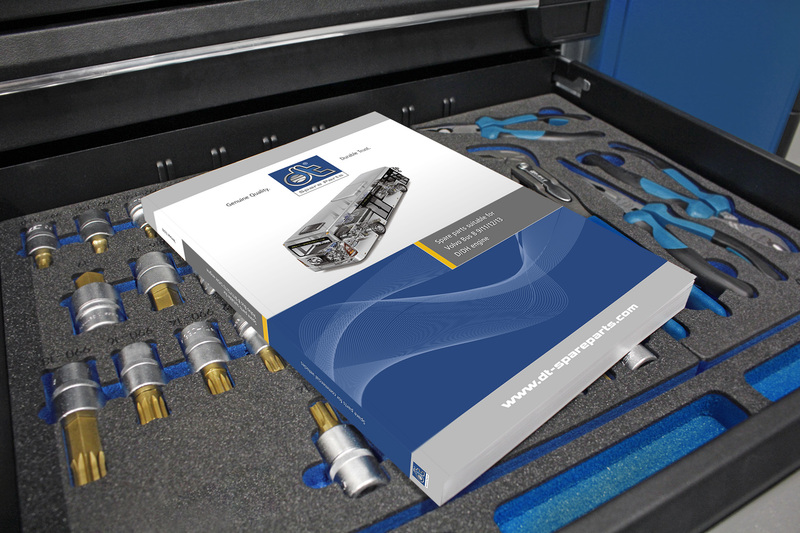 A printed version of the new catalogue is available both from the local sales partners and can also be ordered free of charge and conveniently at http://cat.dt-spareparts.com.